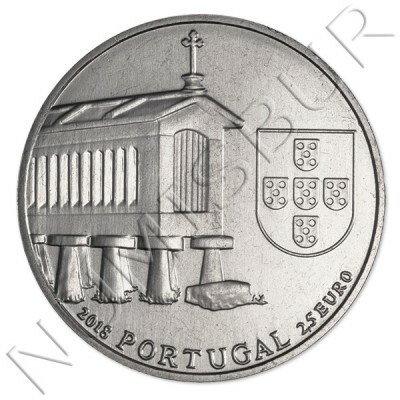 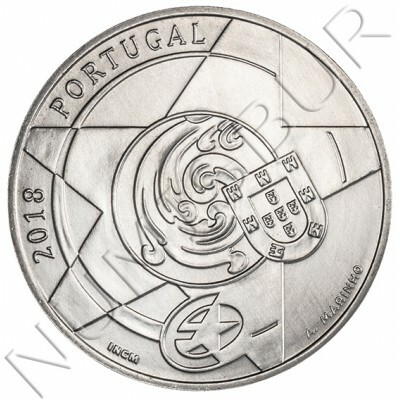 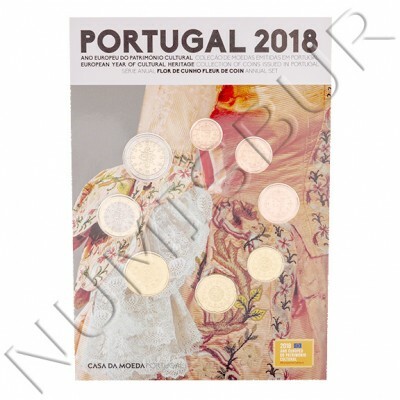 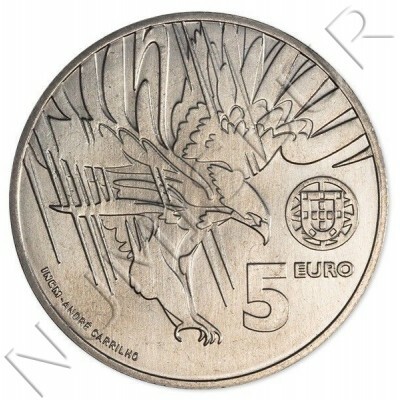 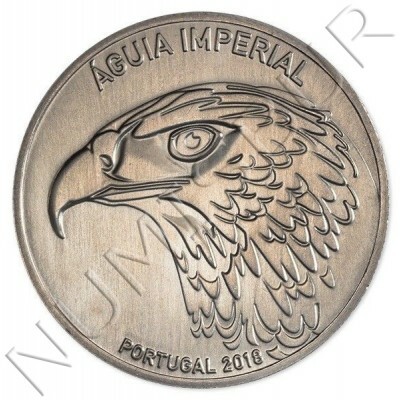 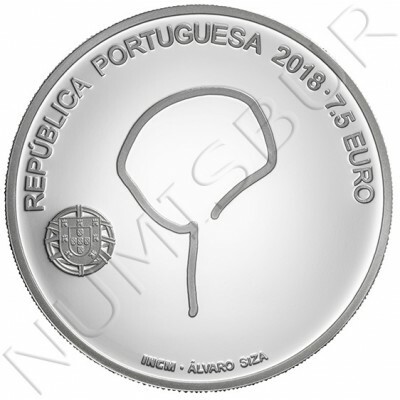 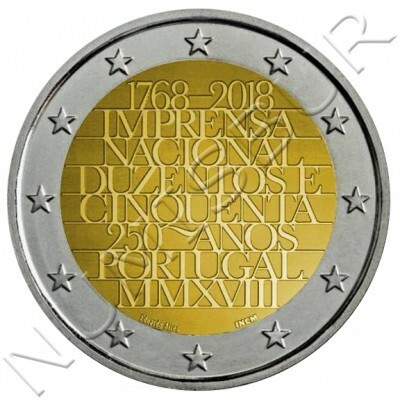 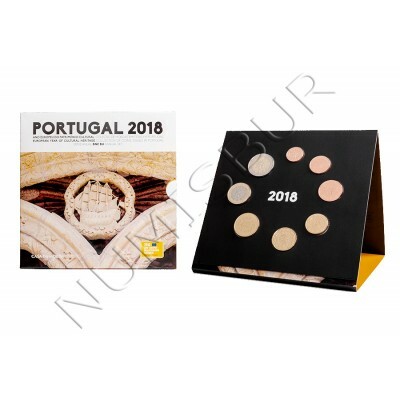 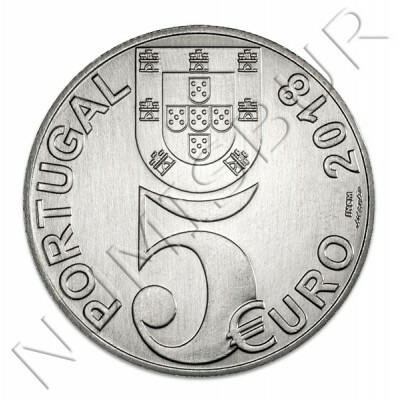 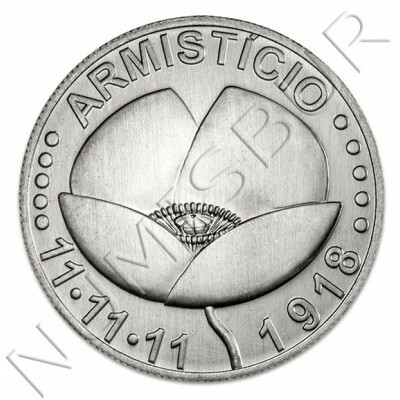 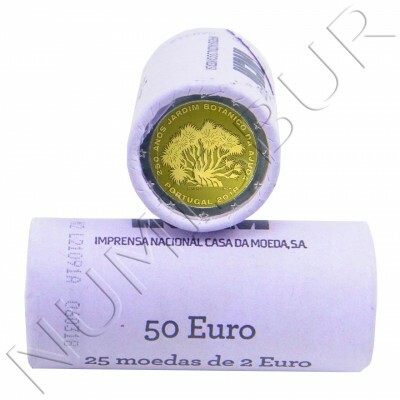 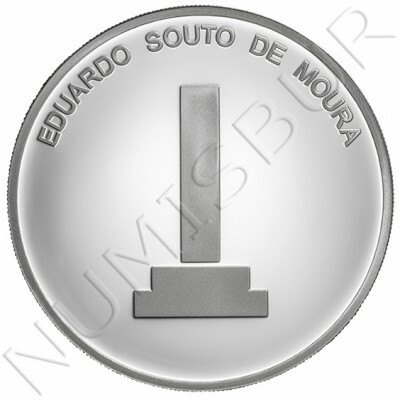 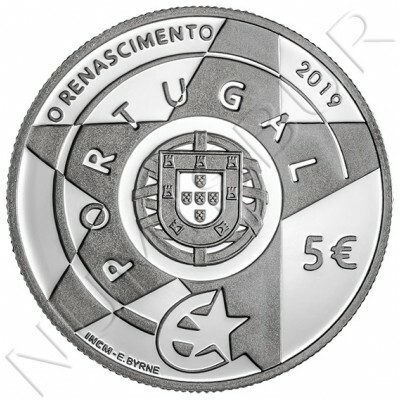 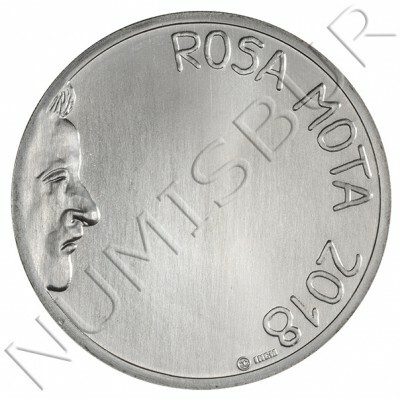 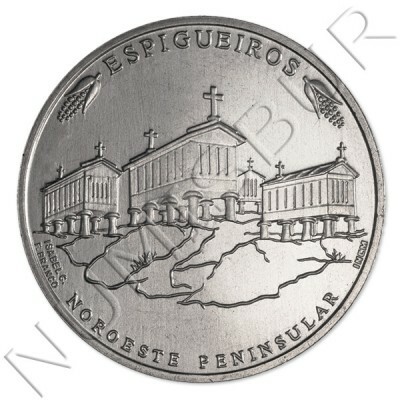 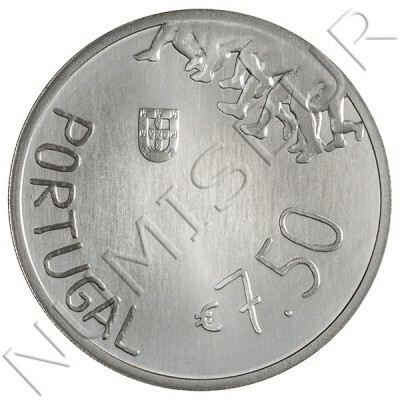 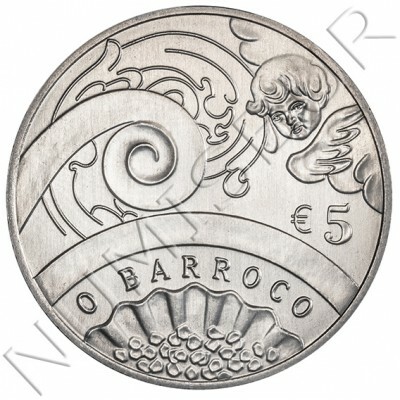 Year: 2019Country: PortugalWeight: 14 gMintage: 60000Diameter: 30.00 mmFinishing: UNCFace value: 5 EurosSeries: EuropeanAuthor: Eloísa Byrne.. 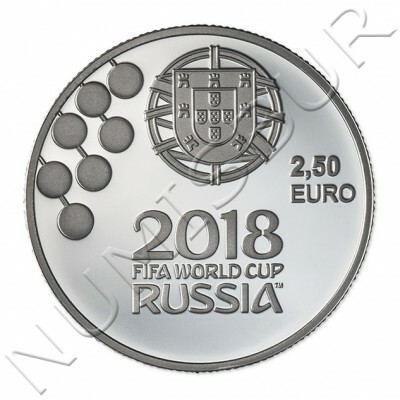 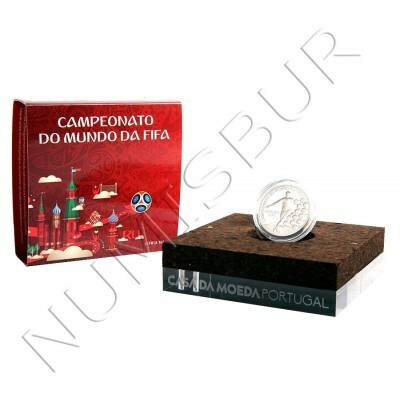 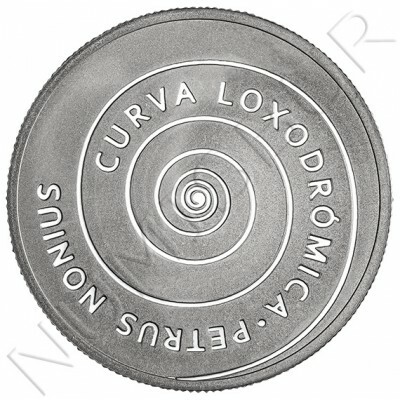 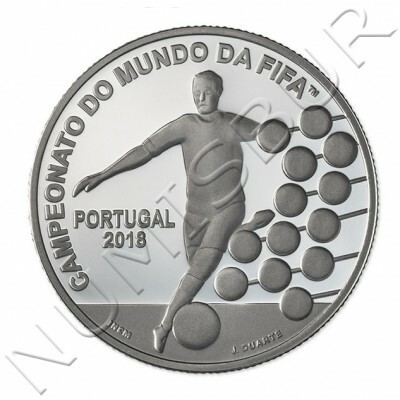 In 2018, Russia hosts the final phase of the 21st Football World Cup, a competition organised by FIFA, gathering 32 nations from the five continents around in what is considered as the most popular sport in the world.Portugal’s first match during this final phase will be against Spain on 15 June, and the Portuguese have high hopes of the Quinas’ team, the current holders of the European title.To mark this major sports event, the Portuguese Mint has minted a commemorative collector coin with a face value of 2.5 euros, created by sculptor João Duarte.Weight: 10 gDiameter: 28.00 mmFinishing: UNCMetal: NickelFace value: 2.50 EurosRelease date: Março de 2018Series: Moeda - Eventos DesportivosAuthor: João DuarteYear: 2018Country: Portugal.. 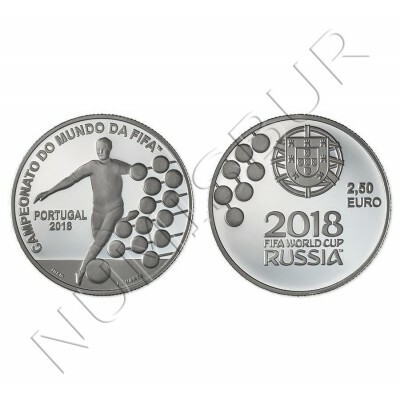 In 2018, Russia hosts the final phase of the 21st Football World Cup, a competition organised by FIFA, gathering 32 nations from the five continents around in what is considered as the most popular sport in the world.Portugal’s first match during this final phase will be against Spain on 15 June, and the Portuguese have high hopes of the Quinas’ team, the current holders of the European title.To mark this major sports event, the Portuguese Mint has minted a commemorative collector coin with a face value of 2.5 euros, created by sculptor João Duarte.Weight: 12 gPackaging: Cork case with certificate of guaranteeDiameter: 28.00 mmFinishing: ProofMetal: Silver 925/1000Face value: 2.50 EurosRelease date: Março de 2018Series: Moeda - Eventos DesportivosAuthor: João DuarteYear: 2018Country: Portugal..
With the aim of showcasing elements of the traditional culture that make up our identity, the INCM, in partnership with the National Museum of Ethnology, has created the series of collection coins entitled "Portuguese Ethnography".The sixth and final coin in this series, created by sculptors Isabel Carriço and Fernando Branco, features the Granaries in the North-east of the Iberian Peninsula, ingenious popular buildings made of stone and wood related to the culture of milling, designed to store and protect cereals from animal predators and the weather.The group of 24 stone granaries in Soajo, in the district of Arcos de Valdevez, listed since 1983 as Buildings of Public Interest, is a wonderful example of these popular works of art.Weight: 10 gDiameter: 28.00 mmFinishing: UNCMetal: NickelFace value: 2.50 EurosRelease date: November de 2018Series: Portuguese ethnographyAuthor: Isabel Carriço e Fernando BrancoYear: 2018Country: Portugal..
Country: PORTUGALFacial value: 2 eurosYear: 2018Weight: 8.5gDiameter: 25.75mmQuality: S/CMotive: 250 Years of the Botanical Garden of Ajuda..
Country: PORTUGALFacial value: 2 eurosYear: 2018Weight: 8.5gDiameter: 25.75mmQuality: S/CMotive: 250 Years of the National Printing Office..
Year: 2017Country: PortugalWeight: 14 gMintage: 60000Diameter: 30.00 mmFinishing: UNCFace value: 5 EurosSeries: Dates and Figures of the History of PortugalAuthor: José Aurélio..
Year: 2017Country: PortugalWeight: 14 gMintage: 60000Diameter: 30.00 mmFinishing: UNCFace value: 5 EurosSeries: Animals..
Year: 2017Country: PortugalWeight: 14 gMintage: 60000Diameter: 30.00 mmFinishing: UNCFace value: 5 EurosSeries: EuropeanAuthor: António Marinho..
Year: 2018Country: PortugalWeight: 13 gMintage: Diameter: 33.00 mmFinishing: UNCMetal: Silver 500/1000Face value: 7.50 EurosSeries: Arquitetura PortuguesaAuthor: Álvaro Siza..
Year: 2018Country: PortugalWeight: 13 gMintage: 100000Diameter: 33.00 mmFinishing: UNCMetal: Silver 500/1000Face value: 7.50 EurosSeries: Sports HeroesAuthor: João Cutileiro..
Country: PORTUGALFacial value: 3.88 eurosYear: 2018Quality: BUMintage: 10.000 pieces..
Country: PORTUGALFacial value: 3.88 eurosYear: 2018Quality: FDCMintage: 12.000 pieces..
Country: PortugalYear: 2017Face value: 2.50 EurosAuthor: Clara MeneresSeries: Datas e Figuras da História de PortugalRelease date: Abril de 2017Metal: Copper nickelFinishing: NormalDiameter: 28.00 mmMintage: 150000Weight: 10 g..